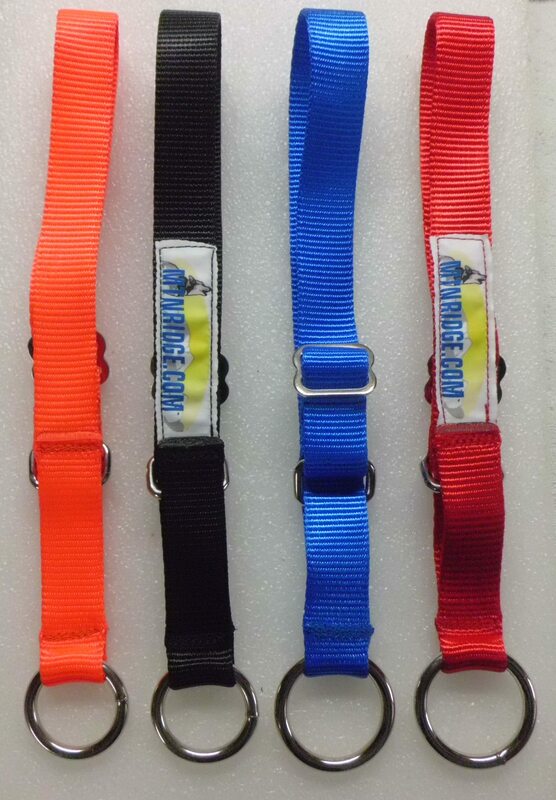 Adjustable Semi-Slip Collar made with 1 inch nylon webbing with a 5,000 lb break Strength. Made without a buckle for maximum strength. There is a short section that will cinch down when the ring is pulled but it is not a complete choke style of collar.